Şeyma Ölmez, the daughter of Turkish writer Mustafa Hikmet Kayapalı who passed away after falling from a three-storey-building in the Balikesir in May, said police officers may have had a role in her father’s death. 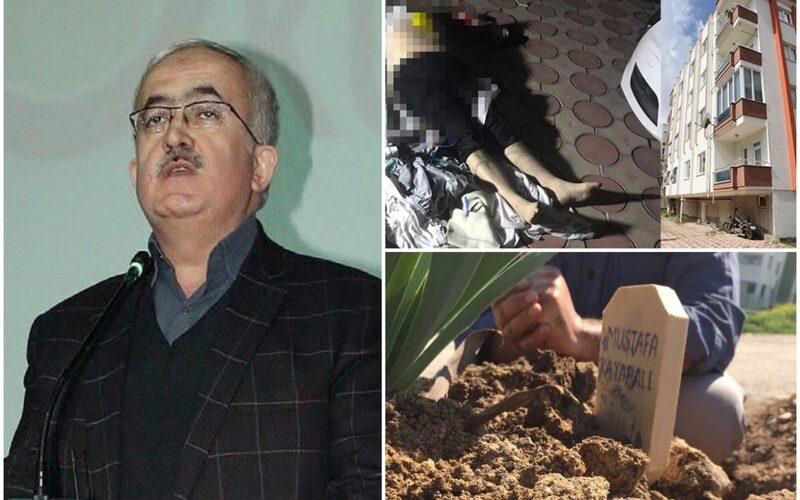 Kayapalı fell to his death, state-run Anadolu agency reported alleging that the 59-year-old author writer attempted to escape a police raid as part of an investigation into the Gülen movement on May 9. Anadolu did not elaborate on the incident further but said the iron bar he was holding was broke off and he fell to the ground from the third floor. Kayapalı’s passing away marked the second suspicious death early May where victims died in the same way, raising allegations that police may have been deliberately involved in the incident. In a similar incident, Gültekin Payat, a 41-year-old teacher with an outstanding arrest warrant issued against him as part of another investigation into the movement, died after falling 10 meters from a balcony, as he also reportedly attempted to escape from police officers. Turkish government accuses the movement of masterminding the July 15, 2016 coup attempt. In a statement on Twitter on June 5, daughter Şeyma detailed the police raid, adding that police may have played role in his father’s fall. “We were sipping our tea in the kitchen with the whole family at around 22.30 on a Tuesday night on May 9, 2017. My father stood up to prepare for his prayer, told my husband that he would be waiting for him to pray together, and left the kitchen. My husband followed him after a while. Then got up my mother to take care of my daughter. “Meanwhile, our door was knocked (no bell ringing). They never rang the bell. I’m underlining this part for a reason. Because my father has been able to hear only in one ear for the past 30 years. He would always ask people to talk loudly even when they sit just near him. So, it is not possible for him to hear the police knocking the door. Even I did not know that it was police knocking at the other side of the door. “…Everyone was busy with something and I opened the door. As soon as I opened it, nearly 10 plainclothes policemen broke in,” Şeyma said adding that they gathered everyone in the living room and seized all cellphones at home. “Meanwhile, a voice came out of from inside. After a few minutes, someone shouted: ‘He is running away, he is running away.’ And a few police officers went outside after a while. The remaining police officers did not let us move. None of us including me, my husband and my mother were not able to witness what happened in that room. We only heard some voices. “Then they told us that they would carry out a search at home. They searched the home for 2 hours and none of us were let go out of the room. In the interim, a policeman told us that father was taken to hospital with his legs broken. “…The search was completed at around 1.30 in the morning. My husband was taken outside for testimony. Meanwhile, I had a chance to take a look at outside, and I saw my father lying on the ground in blood. There were some people around my father. I went back to my mother but couldn’t tell him what I saw as she has psychological problems. I just kept silent. I couldn’t even cry. “The hour of the father’s death was recorded as 23:50 pm. We did not hear any ambulance siren. We only know that he was taken in an ambulance. Nobody even told us that he died. Only my husband was told at around 01.30 am. “1. Would a 59-year-old man who is not even aware of an arrest warrant against him, jump off the balcony only because he saw some plainclothes people? “2. The hour of his death was recorded as 23.50 pm. It was already 1.30 am when we found out that. Did they make us wait in a room under pressure and fabricated an explanation for their crime? “3. It was around 23.00 pm when they raided our home. My father is reported to have died on 23.50 pm. I saw my father in blood on 01.30 am. Didn’t any ambulance come during this period? Didn’t they call one?